CARLSBAD — The Carlsbad Unified School District Board of Trustees agreed to spend $345,000 to upgrade portable classroom facilities for the district’s continuation high school, Carlsbad Village Academy, at their May 8 meeting. The CUSD Board unanimously decided to designate an area of Carlsbad High School’s campus specifically for Carlsbad Village Academy to enhance a sense of identity for the continuation school and provide the necessary facilities for the school to increase the academic rigor of its curriculum. In doing so, the upgrades will also bolster the district’s chances of obtaining renewed accreditation for Carlsbad Village Academy from the Western Association of Schools and Colleges (WASC) in 2014. 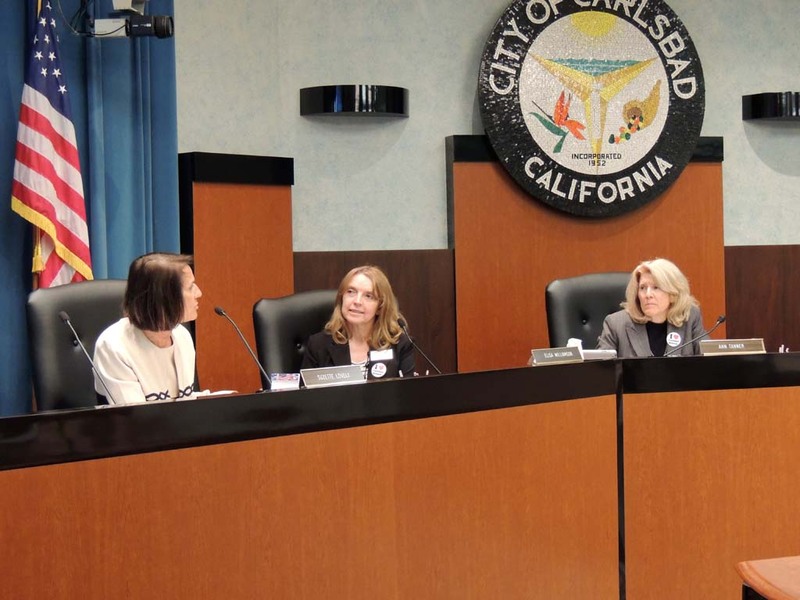 But given the evolving needs of Carlsbad Village Academy, board members expressed concerns that the facility renovations are being decided because of the upcoming WASC accreditation review and may or may not meet the needs of the school’s future students. Currently, Carlsbad Village Academy offers classes at an accelerated schedule for students in grades 10 through 12 who are behind in their high school graduation credits. The school currently has 75 students. “It seems to me that we’re buying some time while we wait for WASC,” said Board member Ann Tanner. “This (facility upgrade) is not necessarily just a Band-Aid,” said Board President Elisa Williamson. She said that the facility upgrades may need to last beyond the next couple of years. After discussion, the trustees agreed that their selected plan allowed enough flexibility for the future needs of the school. “Leaving them (Carlsbad Village Academy) on a site that has a lot of flexibility is a good option,” said Williamson. The Board approved a renovation plan that includes adding new carpet, paint and cabinets to the portable classrooms, installing a fence, creating a new walkway, and adding a new restroom facility. They turned down other proposed redesign plans that cost from $2.2 to $3.4 million and involved relocating modular classroom buildings. The renovations to Carlsbad Village Academy will take place alongside the remaining construction projects for Carlsbad High School.